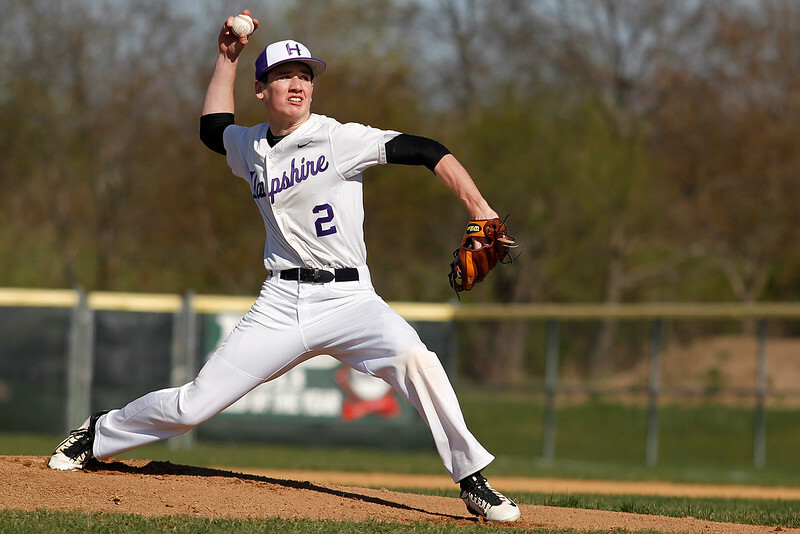 Matthew Apgar - mapgar@shawmedia.com Hampshire pitcher Jacob Manning fires a pitch to a Woodstock batter during their varsity baseball game on Monday, April 27, 2015 at Hampshire High School in Hampshire. 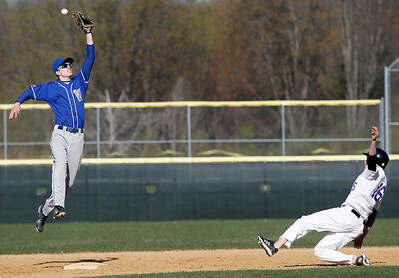 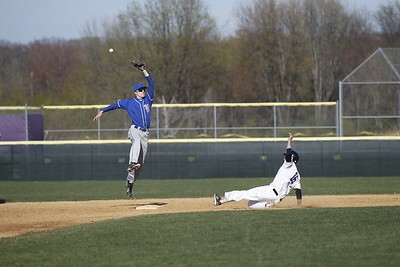 Matthew Apgar - mapgar@shawmedia.com Hampshire's Trey Schramm slides safely into third base, beating the throw to Woodstock's Eric Bell during the first inning of their varsity baseball game on Monday, April 27, 2015 at Hampshire High School in Hampshire. 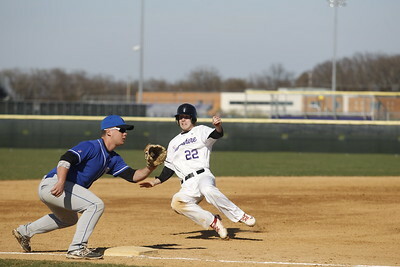 Matthew Apgar - mapgar@shawmedia.com Hampshire takes on Woodstock during their varsity baseball game on Monday, April 27, 2015 at Hampshire High School in Hampshire. 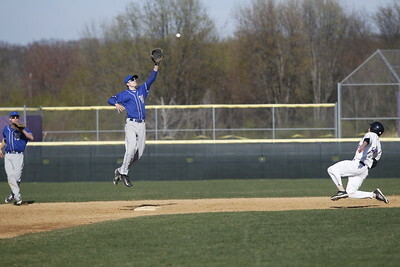 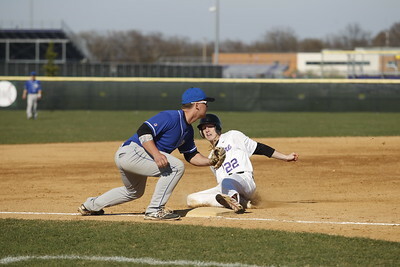 Matthew Apgar - mapgar@shawmedia.com Hampshire's Nicholas Mohlman slides safely into second base, beating the throw to Woodstock's Josh Turner during the second inning of their varsity baseball game on Monday, April 27, 2015 at Hampshire High School in Hampshire. 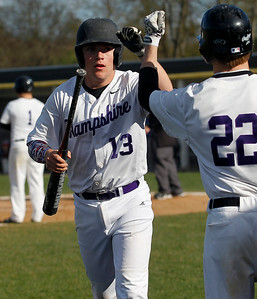 Matthew Apgar - mapgar@shawmedia.com Hampshire's Jayson Fleisner, left, is congratulated by teammate Trey Schramm, right, after scoring against Woodstock in the second inning of their varsity baseball game on Monday, April 27, 2015 at Hampshire High School in Hampshire. 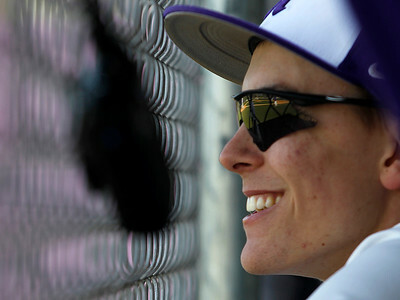 Matthew Apgar - mapgar@shawmedia.com Hampshire's Nicholas Mohlman watches from the dugout as they take on Woodstock during their varsity baseball game on Monday, April 27, 2015 at Hampshire High School in Hampshire. Hampshire pitcher Jacob Manning fires a pitch to a Woodstock batter during their varsity baseball game on Monday, April 27, 2015 at Hampshire High School in Hampshire.